Known for our Fast, Reliable Service, we provide creative, efficient and affordable solutions for all of our clients’ heating and air conditioning needs. We strive to ensure that every client is 100% satisfied, 100% of the time. We tailor design systems for: process air flow, heating and cooling. We have been doing this for more than 25 years. 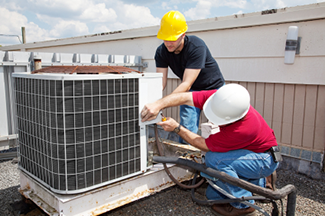 We Service and Repair Every Model and Brand of HVAC! Our team has extensive experience in HVAC design and installation, including applications in manufacturing and medical fields. Need fast expert HVAC service? Duerr Heating and Air Conditioning, Inc.
Offering commercial, light industrial, and residential HVAC services in the Santa Clara County, San Jose, and San Francisco Bay Area.